I’m very excited to announce that one of my new pro bono projects is photographing for Make-A-Wish. Based in Ann Arbor, the Make-A-Wish Foundation of Michigan grants the wishes of children throughout Michigan facing life-threatening medical conditions. The goal is to affirm the human experience with hope, strength, and joy. On a beautiful, sunny day in January, I got to photograph my first “wish kid,” Izzy. Izzy just turned 4 and is undergoing maintenance chemotherapy for leukemia. She loves Disney characters — especially princesses! — and she’s very excited about going to Disney World with her parents and two sisters this month (that is her wish). She is also a delightful, beautiful girl, whom I will never forget. 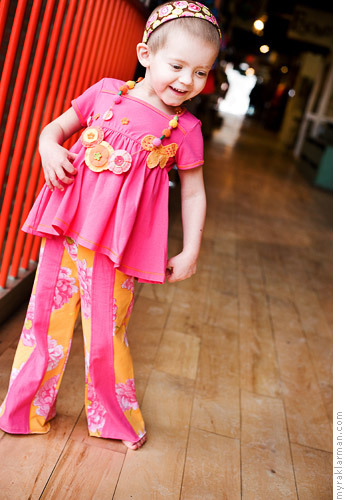 For her photo shoot, Izzy got to star in her own, personal fashion show at Elephant Ears in Kerrytown. 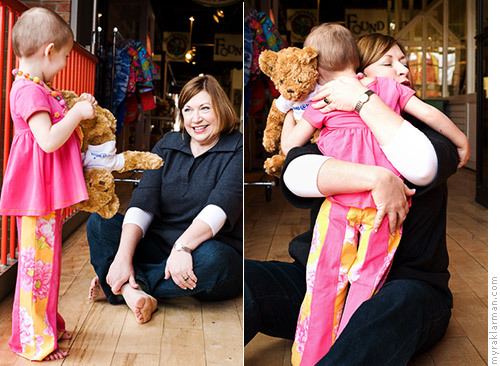 Elephant Ears owner Jenna McElroy let Izzy choose whatever fairy princess dress-up outfit she wanted — she’d even get to keep it after the shoot! Izzy made a bee line for the pink one — hands down, pink is her favorite color. Princess Izzy and I made the rounds at Kerrytown Market, where Izzy repeatedly turned me and several shop owners into frogs, and then (mercifully) back into humans again. Many thanks to Robin Cook (Whitfield Design) for introducing me to Make-A-Wish. 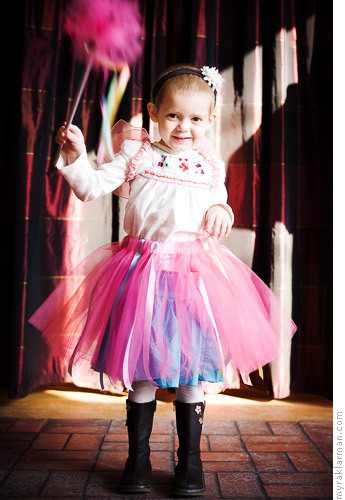 Izzy models her fairy dress-up ensemble, which includes a skirt, wings, and wand. I love how the skirt is designed to go over her clothes. The sun-drenched, jewel-tone curtains at Sweetwaters provided the perfect backdrop to our fantasy. And even as a frog, I enjoyed photographing Izzy. 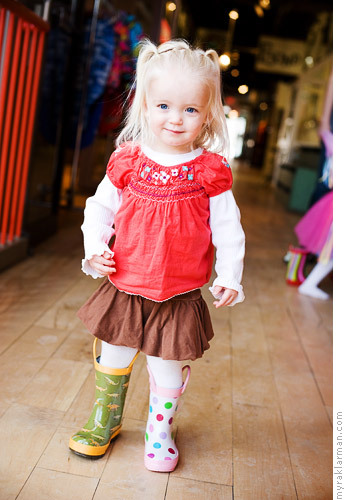 While Izzy changed into her next outfit, li’l sis Ryan modeled some boots that Elephant Ears had on display. Ryan likes to mix and match. Fairy Godmother Susan Fenters Lerch (a.k.a. CEO, Make-a-Wish Foundation of Michigan) and Magic the Bear stopped by the say hello! Myra! We can’t thank you enough for becoming fast friends with Izzy and capturing her princess-ness. Thanks for allowing us such a fun photo day! We LOVE the shots. Nice work! You really captured Izzy beautifully…I don’t know her, but I feel as I do… after looking at these enchanting photos!